Visual and performing arts submission forms are available in A144 or B258A. All literature is submitted online. Work must be submitted by Thursday December 8, 2017 to be considered for the 2018 issue. Download submission form. 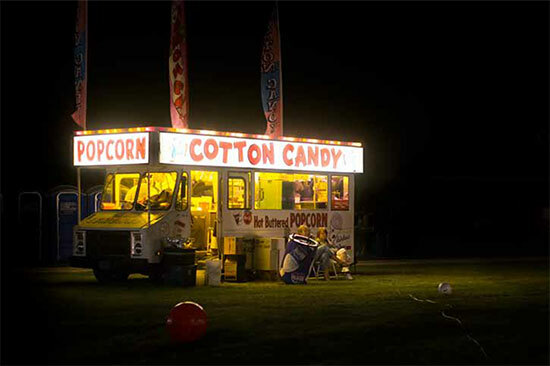 1st Place Award from the American Scholastic Press Association's Annual Contest/Review for Scholastic Yearbooks, Magazines and Newspapers. Gold Medalist Critique with All-Columbian Honors in the Essentials and Visual categories by the Columbia Scholastic Press Association. 1st Place Award from the American Scholastic Press Association's Annual Contest/Review for Scholastic Yearbooks, Magazines and Newspapers! 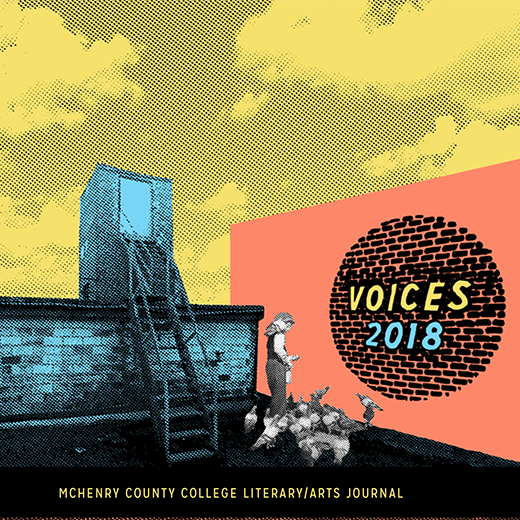 Voices is published each Spring semester to give you, the contributing students, a chance to see the publication in May before you graduate, transfer, or head off to become rich and famous artists, musicians, and writers! 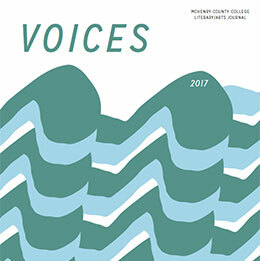 Work must be submitted via e-mail to voices@mchenry.edu, and all author information (name; address and telephone number; title of work; genre of work) must be included in the body of the email message.